There you have it! 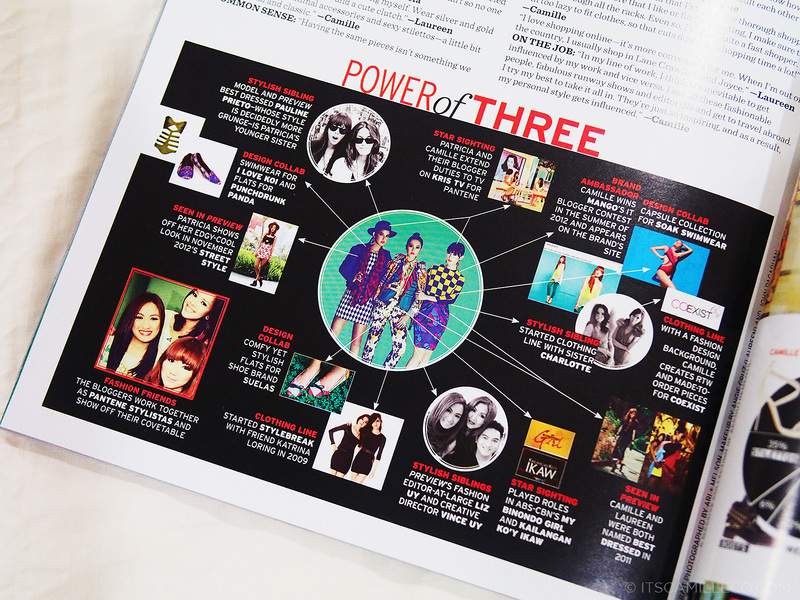 I always get kilig whenever I see features like this. I hope to one day show this to my future kids and maybe even grandkids. (I’m getting ahead of myself again. LOL!) Anyway, for those of you who haven’t grabbed a copy of this issue yet, maybe it’s not too late. It’s only the start of August so you might still be able to see a few copies out in the market! And for the BTS photos, here they are! 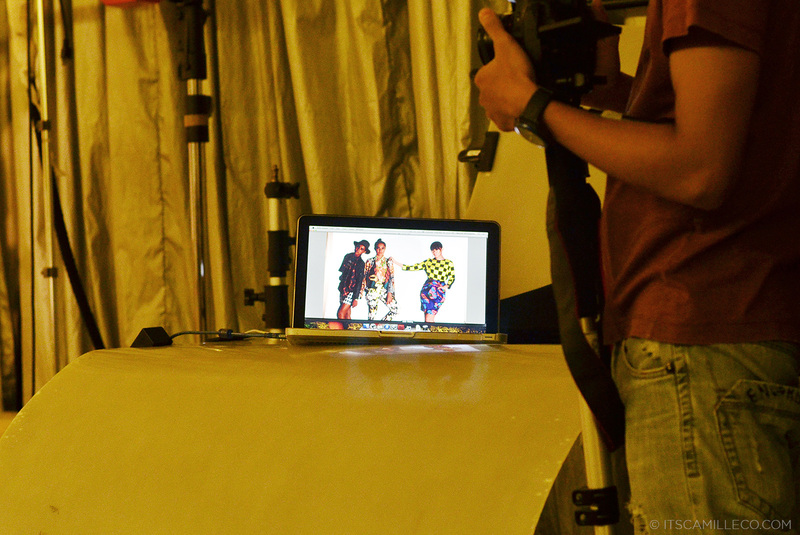 Preview asked us to prepare our own print-on-print outfits for the shoot. As usual, they asked us to bring options. This was the first option. This is us trying to look fierce mid-jump! When you shoot with your friends, it’s like you have an extra set of loving eyes. You watch out for each other and make sure everyone looks perfect. I love how this can easily be seen in this candid photo. Needless to say, our shoot was so light, easy and full of laughs! Meet Wednesday Adams. Har har! When our sittings editor, Lyca Puno, first showed me our hair peg. I told them jokingly, “Parang nahahalata ko nang may galit ang Preview sa bangs ko!” (rough English translation: “I’m somehow noticing that Preview has a little hatred towards my fringe.”) LOL! Remember my Preview cover shoot? I’m not complaining though. I trust them completely and I believe the team knows exactly what they’re doing. Who knows? Maybe if I’m lucky enough to be featured once again in Preview, they’ll sweep my bangs to the back the next time. Side sweep, check! Middle part, check! That’s the only hairstyle left to do! (Because I’m sure shaving my head isn’t an option. Haha!) But seriously speaking, I love how Preview always tries to change our looks. I welcome it! Too bad our outfits for this layout wasn’t published though. To those wondering, this dress is available at MYTH, Greenbelt 5. 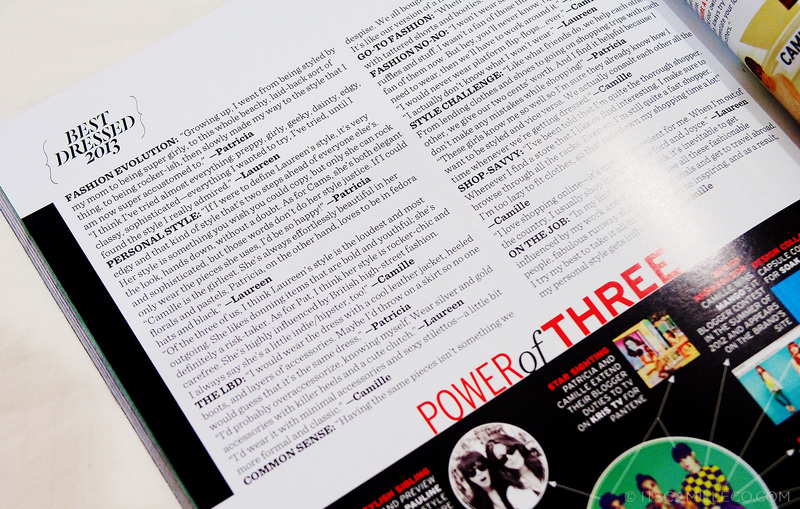 Here’s the layout that made it to the magazine. It still baffles me how they were able to photoshop the apple box that Laureen’s standing on away. It’s so unbelievably cool! This is us listening intently to Preview’s Eugene David. And that’s a wrap! 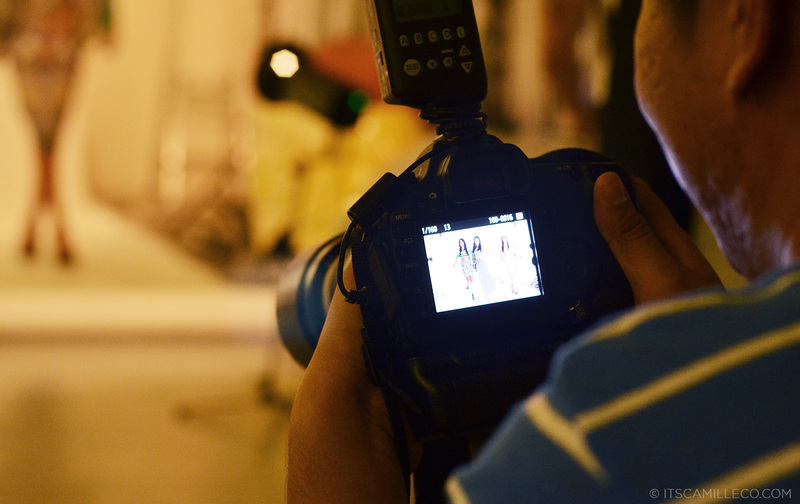 There’s also a special behind-the-scenes video posted on StyleBible.ph. You can watch the video here and find out how I discovered that Laureen is holding a pair of my shoes hostage. I still have no idea what those shoes are. I will probably never know. LOL! Midnight Bonkers also made a special video of all the Best Dressed groups shown at the Preview Ball. You can watch that here. Tuwang tuwa ako sa behind the scenes niyo! The Step-skip-whatever-then-emote Pose! It’s like you were born to do that! Na-happy ako seeing this. 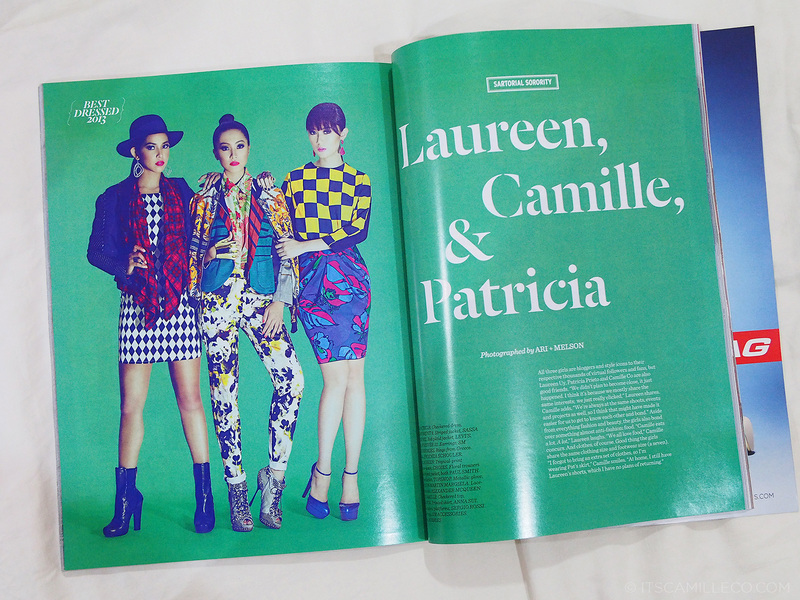 Kudos to Preview team and to the 3 fabulous dashing ever creative bloggers! My sister hates it as well! Haha! :) Thanks Christine! They don’t fit my closet anymore actually haha! i wrote 2days ago on this link. but nothing shows. why? Never too many shoes! :) LOL! Wow, halo-halo ng prints!! Galing :) Galing nyo magdala.. Congrats!! AaaahhH!!! You are so pretty dun sa 9th and 10th photo. Whoaaaa!!! Hindi ako maka-recover. If I were a boy, magkaka-crush ako sa’yo ng bongga! Nakaka-charice!!! You’re so jaunty in this post. I love those checkered themes, reminds me so much of LV! :) You look sleek perfection on the middle partings. Pantene! Nyahahaha. Bet! I don’t think I’m inspiring millions haha! But thank you KC! Yes :) In the future!! Oh, tell me,please, how can they made your bangs vanish? *o* Sometimes I wanna hide my bangs, to change a litlle bit, but its very hard, I cant make it look so natural as they made with yours. The magic of a professional hair stylist! :) LOL! He used hairspray on my bangs. the no. 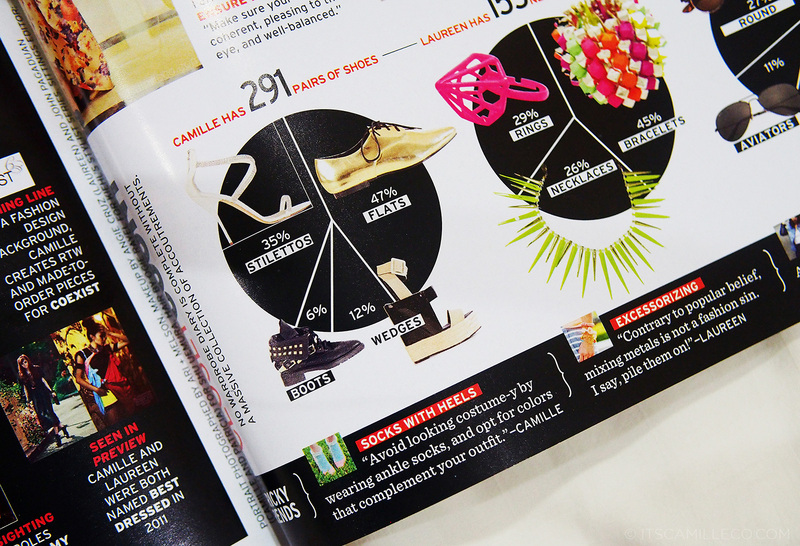 of shoes oh my gossshhh ahahahahnha. oh well may be someday. you have 291 pairs of shoes?! wow!! 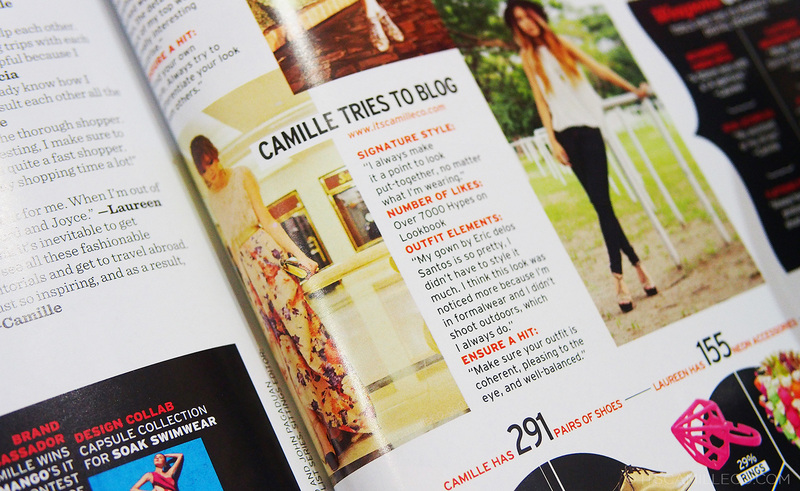 Congratulations on making it to Preview’s Best Dressed List, Miss Camille! :-D I’m happy for all the opportunities this will present for you and your sartorial sisters! Thank you April! :) You’ll love it here! wow,awesome! congrats on the article! Well, I love you with or without bangs! I saw the video and hear your cute voice again and your so sweet miss. 3 of you are gorgeous but your my favorite. I love your 1st outfit! The one you wore your Sergio Rossi heels with! LOVE LOVE LOVE! What’s the brand of your top and skirt? Was it your own o Preview pulled them out for you? Isn’t it pag cover stories the Magazine has to provide everything for the model? I rarely see kasi sa Vogue na they use the model’s own clothes lalo na pagdating sa cover stories eh. Pero regardless, BONGGA parin! Actually mas bongga pa nga pag model’s own clothes lalo na kung BEST DRESSED PEOPLE ang topic. BTW I looove how you look without the bangs! You look waaaaay more mature (in a good way) tyaka very Independent Women by Destiny’s Child ang aura mo dyan! Female empowerment ang peg ng fringe-less Camille! Natawa naman ako sa song!!! Thanks Tasha! Plenty of days! :) Haha! When I have the time! :) I know! What is this sorcery!!! ohh the editing is so cool!! <3 hahaha congratulations again camille! !